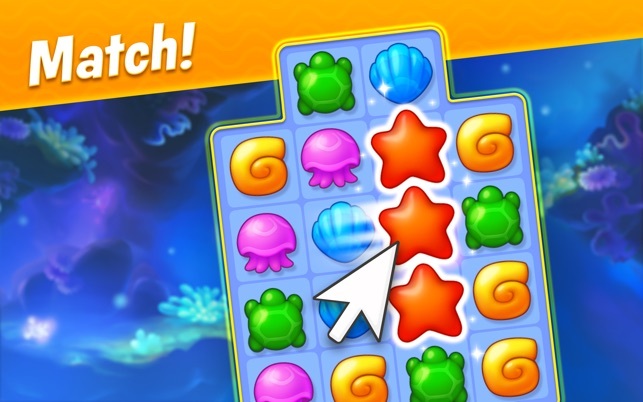 ● It's buddy-diving time: play with your Facebook friends! 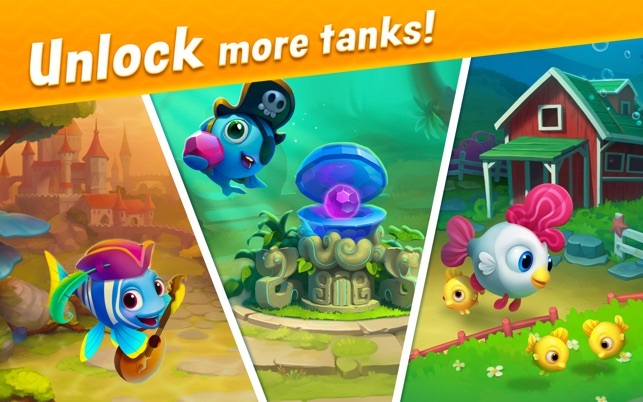 - Beat the chains of special levels without losing to unlock chests full of gold vouchers and other prizes! - Introducing 3 new fish: Dwarf Gourami, Black Lancer, and Carioca Fish, as well as the Dalmatian Family! 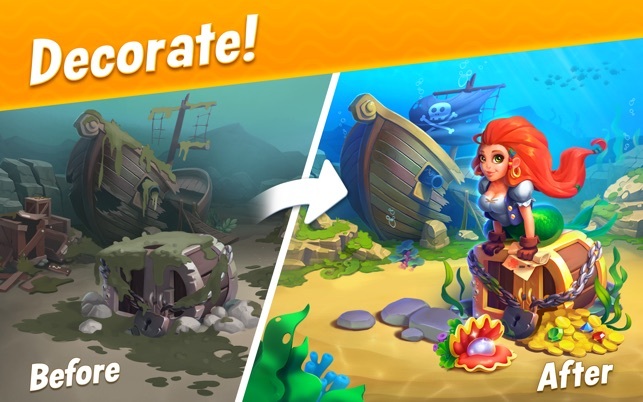 - Exchange vouchers for special decorations in the Festivals aquariums! - New match-3 element: Rubber Duck Pool. 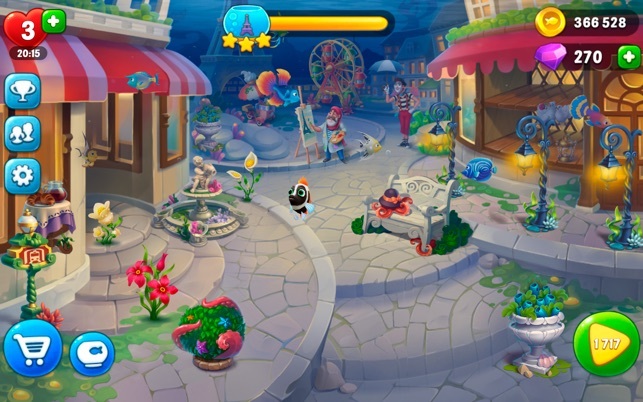 Remove all the ducks from the pool to beat the level. 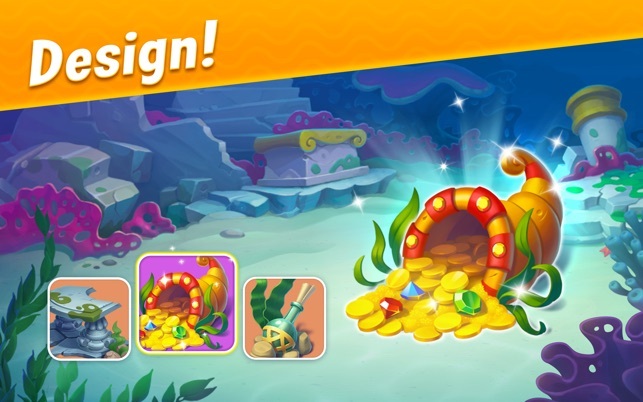 - Buy unique fish and get diamonds as a gift! This puzzle matching game is super fun and challenging. Currently, I almost to level 3000 so there's lots of content to make your way through. It does get really challenging and exponentially more difficult which is kind of the point of a puzzle. The upside of this particular game to most other games is the lack of ads. There aren't any! I love that! There are options to pay money for boosters and help but even those are super descrete and are well hidden if you choose not to. I've never paid any money for this game and continue to find it entertaining and graphically beautiful. As a programmer myself, I get really annoyed with people who complain about ads and in-app purchases because a real person creates and maintains these games and they should be compensated in some way. There are extremes, when the ads and in-app purchases are overwhelming but this game is so far from that. This developer does a great job at making a beautiful, fun game that you can choose to play for free or pay a few bucks for boosters. Bottom-line - If you ignore the contstant in-app prompts to pay cash for items, you can actually advance in the game (not easily) and it is entertaining. 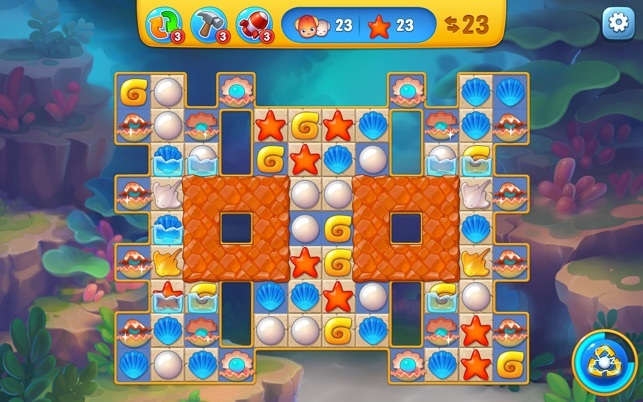 This deveopers other games are similar. I really wish game developers would stop this pay to play using in-app purchases. You used to able to immerse yourself in games without constant prompts to pay real cash for DISPOSIBLE in-game items. You may say, that games used to cost quite a bit to purchase outright and that you are just purchasing items in-app instead. Well this is partly true, in that you could actually pay a decent amount of money up front for a good game and enjoy it without hassle. In the past the prompts would be for shareware titles, while this and most games now use in-app purchases. In essence I have no problem with developers getting paid for their work. The problem is these payments are for single use items. So what happens if a year or two down the road you reinstall the game, do you get your purchased items back? I think you know the answer to that one. Should Not have to Spend Money to Play a Free Game & Advance! I really love the graphics of this game & the cute messages! I have even shared it with my young toddler grandson, who loves to see the active fish! 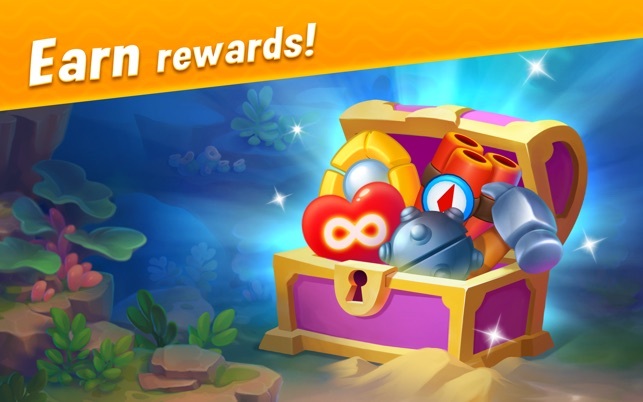 However, I find this game overly frustrating for the following reasons: the game claims to be free, but as you advance in the levels within the game & timed stages are introduced there is no way to win until you buy more time or diamonds to get the tools you need to advance out of a particular frame. I noticed that you buy what seems like a lot of diamonds, but then you have to use so many to extend time or gwt tools. One day, I noticed I had made three small charges to buy diamonds, but realized it added up to $25 for a few hours of fun?? Then, I decided I would not keep buying diamonds & instead forfeit a life, but then you are only allowed to do this a few times & then you get timed out! Each time, the timed out period becomes larger! So what I thought would be a fun game has instead become increasingly frustrating!! I will probably wind up giving up this game. A free game, shouls not become so costly!! !